Although your baby is continuing to grow larger, you may not be putting on additional weight at this point in your pregnancy. However, your body is still changing to accommodate your future son or daughter. At over 18.6 inches long, you baby is almost as big as a full term infant by the 36th week of your pregnancy. He is now tipping the scales at almost six pounds. According to the Mayo Clinic, your little one's larger size is making it harder for him to deliver those punches and kicks you may have felt earlier in your pregnancy. You'll still feel rolls and twists and lots of smaller movements, though. If you're worried your baby isn't moving enough, keep track with a kick count log. Call your doctor or midwife if you have any concerns. According to the American Pregnancy Association, week 36 is when you may begin to notice that there is little change in your weight. This is completely normal and not a cause for concern. Although your baby continues to gain weight, the amount of amniotic fluid is decreasing. This change keeps your weight relatively stable. By now, you have probably gained between 25 and 30 pounds. Since your baby needs a massive amount of fuel, you should be consuming approximately 2,400 calories per day. Continuing to eat a well-balanced diet will help you maintain your energy level while ensuring your baby's proper development. 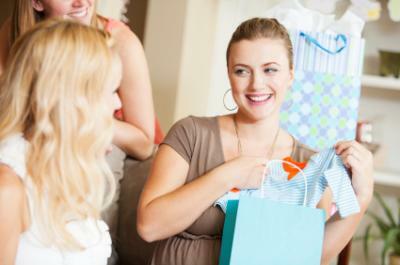 Now only about a month from your due date, your pregnancy will take center stage in a number of ways. Remember to enjoy the excitement and follow your doctor's orders. 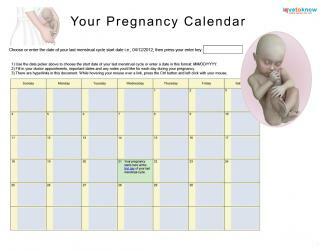 Now that you've reached the 36th week, your doctor or midwife will increase the frequency of your prenatal visits. From this point on, you'll be coming in for check-ups on a weekly basis. During your weekly prenatal visits, your healthcare provider will check your cervix for signs of effacement or dilation. He may also attempt to estimate your baby's size and position. If your healthcare provider hasn't already discussed who to call when you think you are in labor, this information should also be covered. Remember to rest if you feel tired, even if that means leaving the party for a few minutes to lie down. Your friends will understand. If you have gestational diabetes, be sure to watch your sugar intake during the shower. Between the cake and other treats, there are a lot of high-carbohydrate foods. Try to relax, despite all the excitement. Don't allow yourself to get worked up about emotional interactions or family quarrels. Don't forget to drink lots of fluids. It's easy to forget to stay hydrated during big social events, but this is very important. After this week, your baby will be considered full term. That means that all of his major systems are fully developed and ready for the outside world. Get ready to meet your little one in the next few weeks.